On Tuesday, February 25th, Saudi’s leading luxury & fashion consulting firm, Niche Arabia, and one of the most innovative online Arab fashion retailers, Mooda.com, hosted EDITION KSA, an event to gather Saudi's burgeoning fashion community, while promoting and showcasing talented designers from the Arab world. 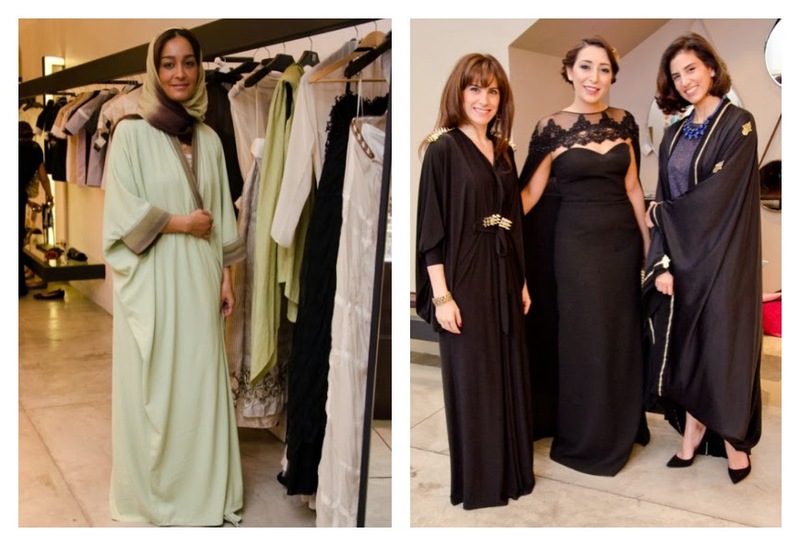 In addition, to a collection of exclusive items commissioned for the KSA market, Saudi designers, Rana Ismail of boho-chic brand Rana Ismail (Jeddah), Reem Faisal of bridal and evening brand Reem Faisal Couture (Jeddah), and Mashael Al Faris of evening wear brand Moushi (Riyadh), showcased exclusive limited- edition pieces styled by two Saudi stylists, Marriam Mossalli of ShoesandDrama.com and Bakry Alkaff. Models played the role of live mannequins at the conceptual Libra Boutique. International beauty salon, Toni & Guy Jeddah, sponsored the hair and makeup of the models, and provided consultants that worked with the stylists to complete their looks. Edition KSA aims to highlight the various professionals within the Saudi fashion industry, from designer to stylist, to retailer and marketeer. The event launched one of the first all-inclusive initiatives to get various--and even competing professionals to have a dialogue, and perhaps even collaborate! In addition to these Saudi designers, Mooda.com also curated a trunk show featuring existing designers from its platform such as Tamara Al Gabbani, Aura, Xela Fashion, Caroline Seikaly, Paraphernalia, Ceecode, Lya Lya, Poupée Couture, Sarah’s Bag, Jojoba designs, Instant 24, Madame Reve, and Sarah Melki. It is Niche Arabia and Mooda.com’s intention to bring together the fashioniastas and fashion connoisseurs of Saudi in order to create an ongoing dialogue in order to nurture and cultivate the newly emergent fashion industry.